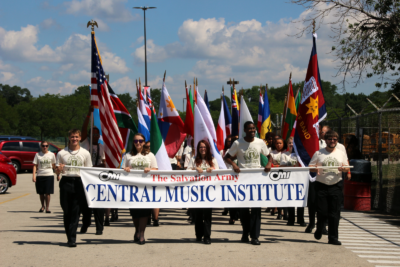 Teens and young adults gathered over ten days in August 2016 at Camp Wonderland (Wisconsin) for Central Music Institute 2016 (CMI). Under the new leadership of Dr. Harold Burgmayer, the camp saw new and exciting changes that proved that CMI is still “the place to be”. This year, the camp offered five intensive tracks for students to develop their skills in drama, dance, leadership, praise band, or media production. These tracks allowed students to devote extra time with in-depth instruction to one of these specialities in addition to their brass band or vocal ensemble. Special guest instructors from several parts of the world came to supplement the tracks as well as the band and chorus ensembles. Jonathan and Louisa Corry, from the United Kingdom, challenged the band and chorus. Amerika Outlaw, Creative Arts Director for the National Capital and Virginia Division of the USA Southern Territory, specialized in dance. Phil Laeger, from New York by way of Australia and originally from the USA Southern Territory, provided expertise in praise band. Known for its devotion to music, CMI continued to challenge young musicians in technique, theory, and music instruction. A new emphasis on choral ensembles allowed instrumentalists to develop their vocal skills, while advanced electives asked students to attempt composition and conducting. Solo competitions showcased students demonstrating their indivial proficiency and pushing the bar on musical performance. 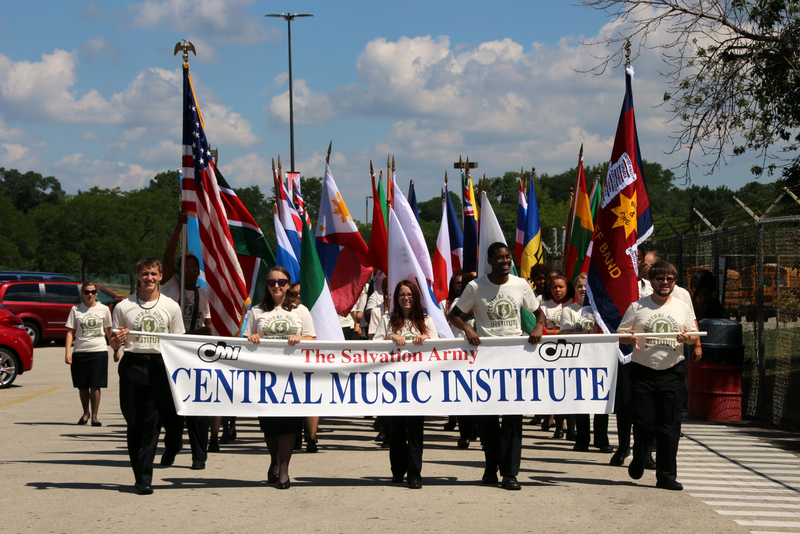 CMI is not just a place for music instruction, campers are asked to grow spiritually as well. This year, the CMI chaplains, Lieutants Mike and Kelly Hanton, guided the camp through an exploration of spiritual discipline. Each day, students were given one spiritual discipline to reflect on during “Sealed Orders”, a time of personal meditation and reflection. Then, in the evening, a new small grop model allowed students to share their reflections with peers and faculty, encouraging and challenging one another, to grow in faith and develop the spiritual disciplines discussed. Central Music Institute 2016 ended with a passing of the baton from the faculty to the students, with Sunday morning worship led by the students through dance, drama, and music. A mass chorus singing Psalm 150 perfectly reflected the body of Christ and the coming together of young people throughout the territory, bringing honor and glory to the name of Jesus. This article was posted in News and tagged Amerika Outlaw, Betsy Clark, Camp Wonderland (Wisconsin), Central Music Institute, Harold Burgmayer, Jonathan Corry, Kelly Hanton, Louisa Corry, Mike Hanton, music camp, Phil Laeger on 11 September 2016 .